Aktiv Camping Prutz är en camping i Prutz, Tyrolen, belägen vid en flod/ en bäck. Campingen har platser med stängsel, utan skugga och platser med lite skugga. På campingen finns en lekplats och ett sportområde. För den sportige semestervandraren har campingen utflyktsprogram, guidade vandringsturer och olika cykelleder. Det finns ett underhållning. I Aktiv Camping Prutz är det tillåtet att åka forsränning/åka kajak/åka flotte. Att laga sin egen mat är inte alltid nödvändigt, för på campingen finns en snackbar och en restaurang (mindre urval). På campingen kan du också köpa livsmedel och färskt bröd. Det är möjligt att komma ut på internet, därför att på 80% av campingarna kan man komma ut på internet med egen laptop. Denna inspektör gör varje år ett besök på Aktiv Camping Prutz och inspekterar campingen för ca 200 faciliteter och för andra förekommande punkter. Inspektören är en medarbetare från ACSI och arbetar inte för campingen. We intended staying at Aktiv Camping for one night on our way to Lake Garda but on arrival found a site with very friendly and welcoming staff and after seeing the wonderful facilities decided to stay for 4 nights. The position is perfect for those travelling, North or South, along the route from the Fern Pass to the Reschen Pass,or into Switzerland toward St Moritz. The pitches vary considerably and you need to take a look at those available before choosing and as expected those next to the river are very popular. The facilities are housed in the one main block and are to a very high standard with great showers. There is a filling station and a Euro Spar supermarket 850 metres away. At our visit, We decided to visit the Kaunertal Glacier and can highly recommend this to others as it is such a lovely scenic drive and very different from what you will see if you just head for the warmer climates to the South. One surprise,due to my not reading the site information fully,was the high price of the local tourist tax but the site is still excellent value. We did not use the bar or restaurant. A great campsite right in the heart of Prutz.All amenities are first class and the pitches are all level and of quite good size.Bus across the river into Landeck and Kams.Not a great deal to do in Prutz.Well worth the effort to find this place. Stayed 2 days travelling from Italy via the Reschen Pass home to the Uk. Level site and short walk into pretty village. Office closed when we arrived but they had a very good system whereby you could see which pitches were available and for how long and you could decide where to pitch yourself accordingly. Great views and taps on pitch. Toilet facilities all inside heated building and very nice. Restaurant, but only open for a short time. We didn't use it. Downside of the site was that there was a main road on one side from which there was traffic noise but the small road on the other side of the campsite was a problem in the mornings as farming community and tractors on the move very early 5.30 onwards and loud! Lovely walks and villages to explore in the area. Vill du boka campingen Aktiv Camping Prutz eller få mera information? Det går bra med nedanstående uppgifter eller via campingens webbsida. 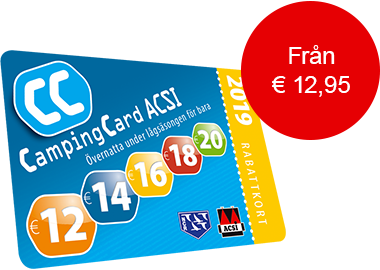 ACSI Eurocampings skickar din informationsförfrågan till "Aktiv Camping Prutz".